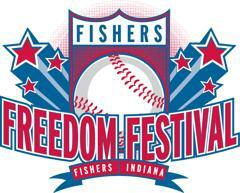 [vc_row][vc_column][vc_column_text]The 2014 Fishers Freedom Festival Parade takes place on Sunday, June 29, 2014. The itinerary for the day is listed below. Please read it, be prepared, and be on time so we can start the season off right! Load equipment in the trailer at school (large brass and percussion that have not taken your instrument home need to be here to help. Remember you have to provide your own ride or carpool to the parade site meeting location. Meet on municipal Drive by the Fishers Library. Look for the RED parade shirts. Parents and students may park and/or drop off by the library near the fire and police station. Leave your case in your cars except for large instruments which came via the FHS band trailer. Official marshaling time! The band should be in place ready to move. Parade ends. We will finish and march to the grassy area just North of the Five Guys, Renos Music, La Habenera stores which is the corner of Lantern Road and Commercial Drive (Target). Large instruments need to load their instruments onto the trailer and meet us back at FHS to unload. Please call and or text your ride and tell them when you are done! Help load and unload by lining up cases, lifting instruments, etc..